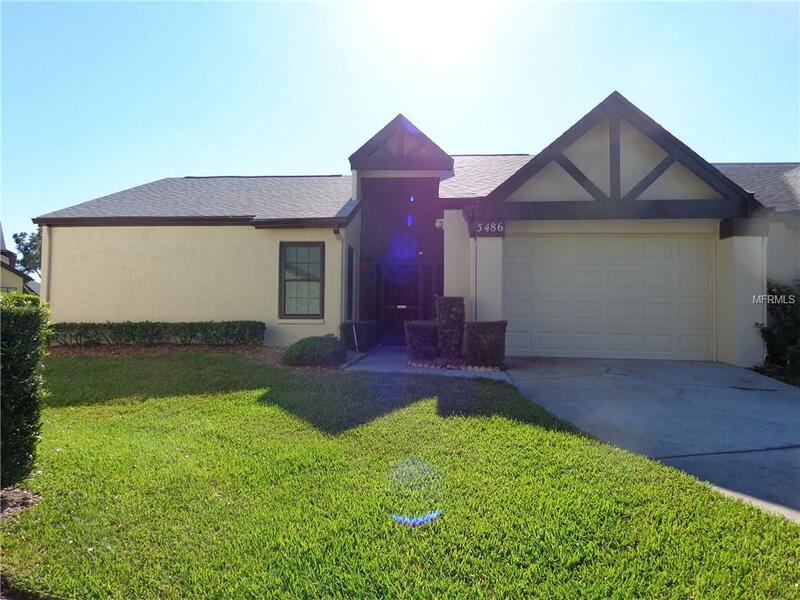 Popular expanded Briarwood model with added enclosed Florida room. Located in Sutton Place in Highland Lakes which is Pinellas County's premier 55+ golf community. This villa has an updated kitchen with granite countertops and stainless steel appliances. Separate breakfast area and large dining room. Present owner is using the den/dining area as one large dining room. Large living room opens onto an enclosed Florida room which has been vented but we don't think it has been added to heated SF. The master has an en-suite bath with large vanity and shower and walk-in closet. The 2nd bedroom has very large walk-in closet and access to the guest bath. The garage will hold one car and a golf cart. The roof was replaced in 2017, newer Simonton impact-resistant vinyl windows installed in 2015 and the A/C in 2002. Highland Lakes has many,many social activities, a craft building, auditorium for dances and shows, 27-hole golf course, 2 heated pools, tennis, bocee, pickleball and shuffleboard courts. A second clubhouse is located on Lake Tarpon where the 2 association owned pontoon boats are moored. There is also an RV/Boat lot available as space permits. The Highland Lakes HOA fee is $98/month which includes NO Green Fees for Golf, and the Sutton Place maintenance fee is $184 which includes trash, lawn care, exterior paint, maintenance of private roads, irrigation system for lawns and basic cable. Additional Water Information Boat Rv And Kayak Storage Lot As Space is Available. Listing provided courtesy of Camelot Inc Realtors.